Midfielder Stephen McAlorum has left Ballymena United by mutual contest. A club statement said that the 32-year-old feels he is at "a point in his career where he needs to be playing every week". "Being fully understanding of his desire to play we've agreed to his request to be released," added the Ballymena statement. 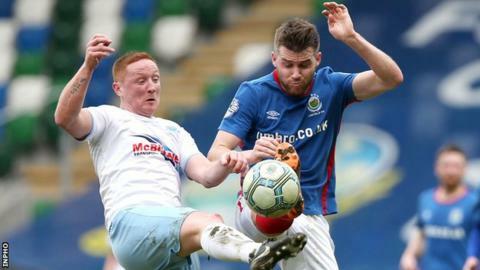 McAlorum joined Ballymena from Glentoran in July 2017 after spells at Donegal Celtic and Glenavon. "We wish Stephen all the very best with regards to the next chapter of his football career," continued the Ballymena statement. "Whilst we never got to see him play as much as he or we would have liked, his influence and contribution was significant. "Stephen has been working hard since the beginning of pre season to get fully fit and over recent weeks his fitness levels have been improving with games in the U20s." Ballymena are third in the Premiership table going into this weekend's round of fixtures after an impressive start to the campaign which included last Friday's win over leaders Glenavon.